Many real-estate experts were skeptical in 2011 when developer Edward J. Minskoff broke ground on an office tower in the East Village. They cited the weakness of the city's economy, Mr. Minskoff's lack of preleasing and the high rents he planned to ask in an area known more for funky music than modern office space. It looks like the skeptics were wrong. The 400,000-square-foot tower at 51 Astor Place, which opened in May, is now more than 70% leased after just signing IBM IBM -2.14% Watson Group as its anchor tenant to 120,000 square feet. Mr. Minskoff said the building will be 90% leased in weeks if all goes well in negotiations with other prospective tenants. And while Mr. Minskoff won't discuss lease details, market experts said he is getting the rents he needs to make the development profitable. For example, rents for the IBM Watson Group varies by floor but generally starts in the low $80s a square foot and rises to more than $90 during the lease term, according to real estate data firm CompStak. "My gut feeling was that when it was finished, the tenants would come," said Mr. Minskoff. "And that's exactly what happened." The strong leasing progress of 51 Astor is a sign that technology businesses are getting pickier about their locations as the sector in the city matures. In the early years of the sector's growth, tech companies were willing to sacrifice modern features to be in older loft buildings in "Silicon Alley" neighborhoods such as Midtown South where the industry was congregating. "Traditionally there would be a trade off," said Arie Barendrecht, executive director of WiredNYC, which runs a city-sponsored program that evaluates office building technology. "You could have a business in Midtown with fantastic infrastructure, or you could move to Silicon Alley and have the cultural benefits of the community but sacrifice some of the technology." But tenants increasingly want both, which is pumping up demand for the few modern buildings in the most desirable neighborhoods. Last year, the vacancy rate for this kind of so-called "Class A" space in Midtown South decreased to 6.1% from 9.6% in the fourth quarter of 2012, according to Jones Lang LaSalle Inc. JLL -1.43% The vacancy rate for all Manhattan space today stands at 11.1%. Mr. Minksoff's tower could still face leasing challenges if his deals in the pipeline aren't signed. But if he fills the building at high rents as he predicts, his success could spur other developers to build office properties in the area or to buy older buildings and upgrade them. "The building and tenant roster have increased the real estate value in the surrounding area." said Paul N. Glickman, vice chairman at Jones Lang LaSalle, the leasing agent for 51 Astor. Mr. Minskoff has been involved in several bellwether deals during his career in New York real estate, which spans more than 30 years. Mr. Minskoff is related to New York's Minskoff real estate family, known in part for developing the Minksoff Theatre. But he said he didn't inherit any family money or property. Rather, he started in the business as a broker and worked his way up to become chief executive of the U.S. subsidiary of Toronto-based Olympia & York Developments Ltd. He made his first mark in 1976 when he arranged for Olympia & York to purchase eight Manhattan office buildings tied to the Uris family. Later, he led the company's development of the World Financial Center, the sprawling office complex in Battery Park City. In 1987, Mr. Minskoff formed his development company, which now controls 4 million square feet of space. 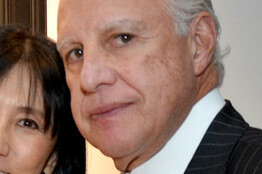 His properties include 1325 Avenue of the Americas and 101 Avenue of the Americas. "The only way one can move forward in this business is to take these risks," he said. Mr. Minskoff said he moved forward with 51 Astor Place because he believed that, as New York's tech sector expanded, tenants would want state of the art space and large floors—two things that are scarce in Midtown South. The tower also has sweeping views and a large roof terrace; in the lobby, Minskoff has installed a 14-foot candy-apple red Jeff Koons sculpture, called Red Rabbit. Success was never a sure thing. 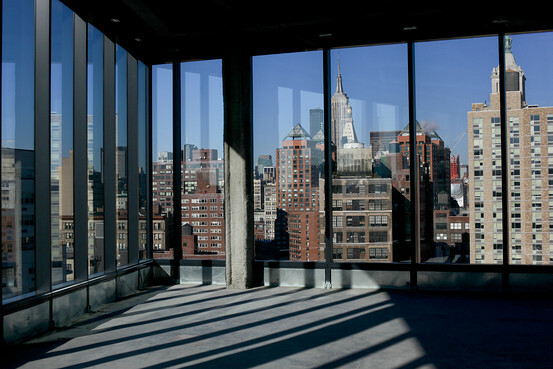 As 51 Astor was built, some neighborhood residents and others criticized its design, calling its glassy, boxy look more appropriate for Midtown than the Lower East Side. Initially, leasing at the property seemed slow. The building opened in June; as of July, it still hadn't signed any leases. Two big tenants that had considered the building, Microsoft Corp. and Facebook Inc., landed elsewhere. By the end of last year, though, tenants were competing for space in the building. IBM Watson, which received naming rights to the building, is a unit of International Business Machines Corp. that hopes to make money off the computer that made headlines when it competed on Jeopardy in 2011. Another tenant is 1stdibs, an online auctioneer of high-end vintage goods. Twitter Inc. also was interested in the space that IBM Watson took, but didn't move fast enough. IBM "wanted the space very badly," Mr. Minskoff said.